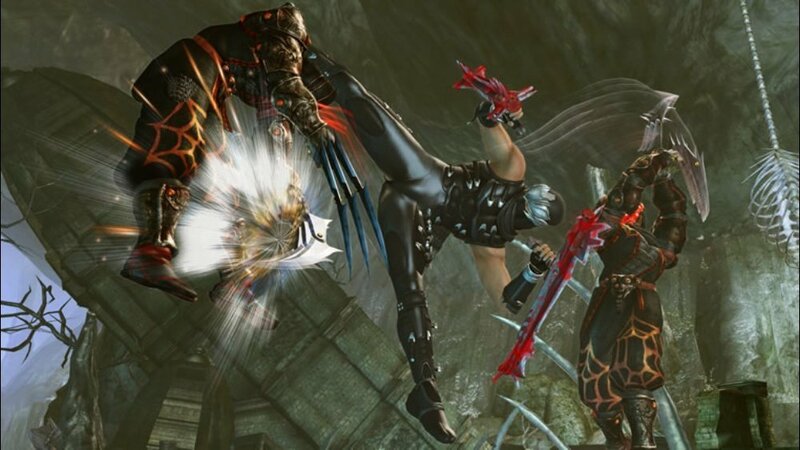 Ninja Gaiden 2 leads the latest batch of Xbox One backwards compatible titles, complete with Xbox One X visual upgrades. The Xbox One continues to expand its library of backwards compatible titles from previous Xbox generations. During Tuesday's Inside Xbox presentation, a handful of new Xbox 360 games were revealed for Microsoft's current-gen console, led by a classic from the crew at Team Ninja. Ninja Gaiden II is now on the backwards compatibility roster and is now playable on Xbox One. For those who are unfamiliar, the Ninja Gaiden series was revived on Xbox platforms back in the early 2000s. Ninja Gaiden II introduced several new ideas for the series, such as lead character Ryu Hayabusa now able to dismember his foes with his weapons. That means that not only are kills more stylish, but it's now possible to simply injure enemies, who could prove relentless and continue to pursue Ryu with reckless abandon. The sequel to the original Ninja Gaiden reboot is a much more visual and visceral effort, which makes it ideal for the remaster treatment. That's why it's good news to hear that Xbox has gone back and fully upgraded Ninja Gaiden II for Xbox One X users. Shacknews reviewed Ninja Gaiden II when it first released back in 2008. So let's blow some dust off of this original 2008 review, where original reviewer Nick Breckon (who has since moved on to newer pastures) had several positive and negative things to say about this effort. "With Ninja Gaiden II, what you see is what you get. It's a frantic, skill-based brawler, and retains the responsive mechanics that set the first game apart. It's all about quick action and quicker reaction, a careful balance of parry and thrust and total coincidence. Only the most dedicated players will dominate at the highest difficulty, as it should be. "That being said, this is unquestionably a Ninja Gaiden for the rest of us. Thanks to a relaxed health regeneration system, I happily defeated most of the game's levels and bosses--on the easiest mode of four, mind you--without coming close to a frustrated toss of my controller. Occasionally I'd get stuck on a boss for a few minutes, sometimes to the point of rampant ninja cursing, but I was rarely red-faced to the point quitting--as I was with Team Ninja's first." Ninja Gaiden II joins dozens of other Xbox 360 and original Xbox games on the backwards compatibility list. It's available today on Xbox One. and my 360 copy will forever sit on the dusty rack of other games.